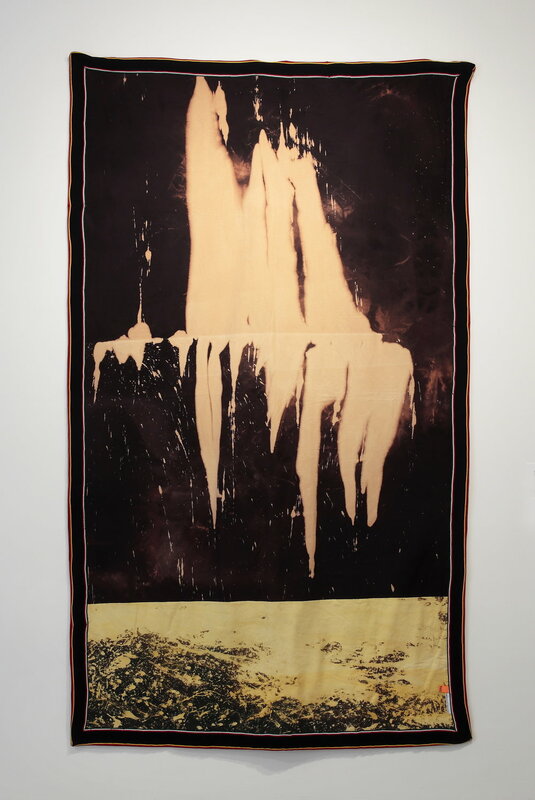 Categories of the past are collapsing in contemporary art. 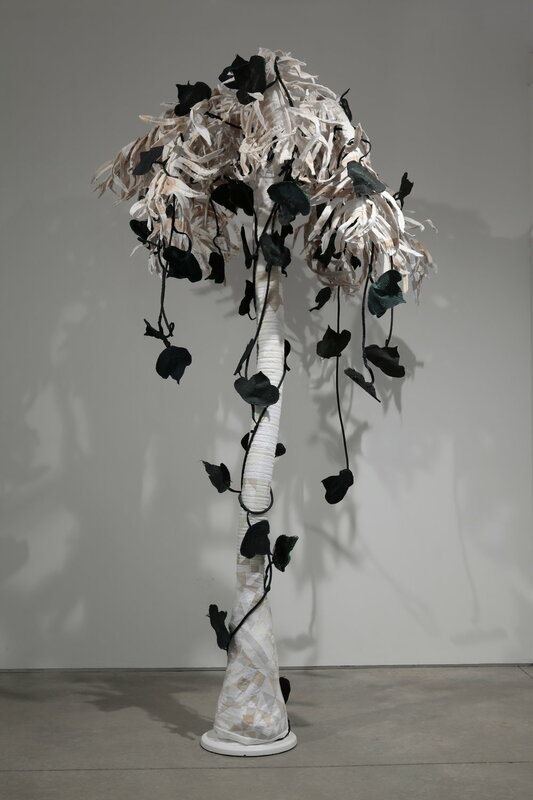 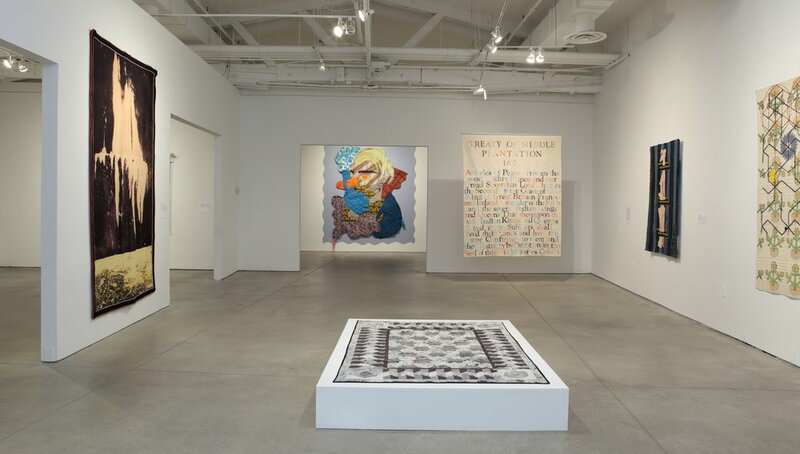 Artists use the medium and materials that are the best conduit for personal, political and social messaging, and often their artistic practices include many processes at once. 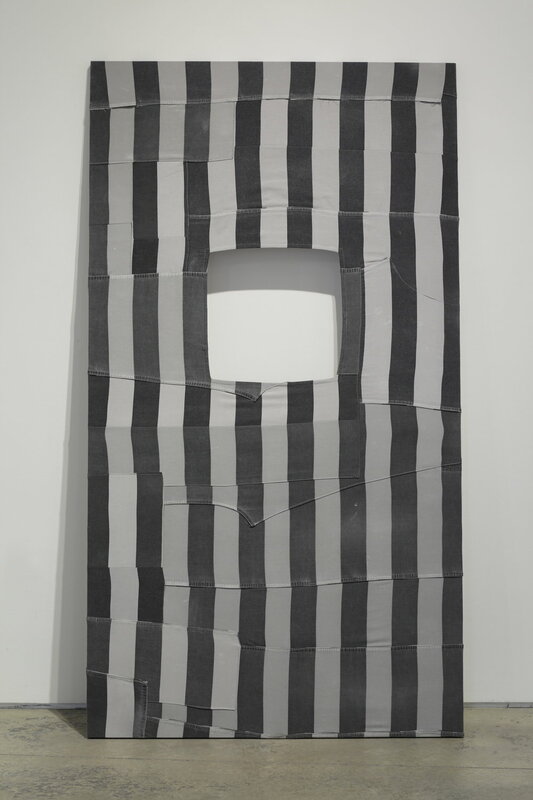 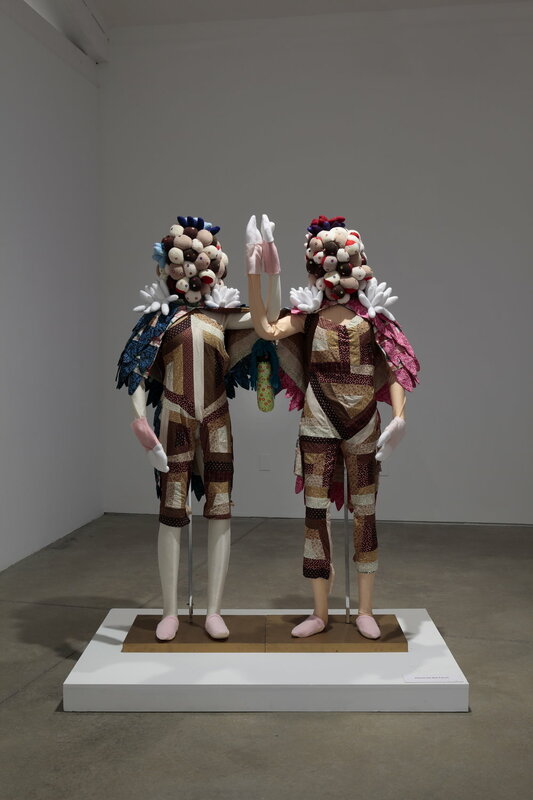 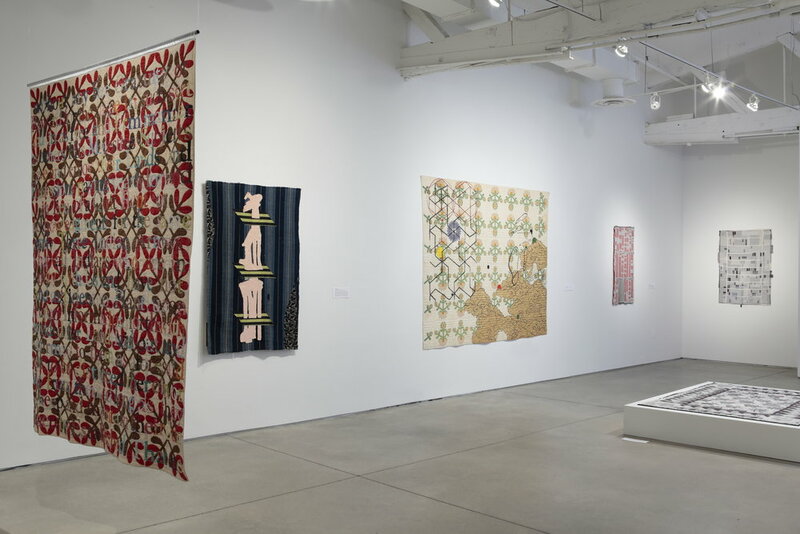 As they looked closely at work being made by contemporary artists, curators Stefanie Fedor and Melissa Messina repeatedly saw the quilt being used by contemporary artists as a medium to explore questions and communicate messages. 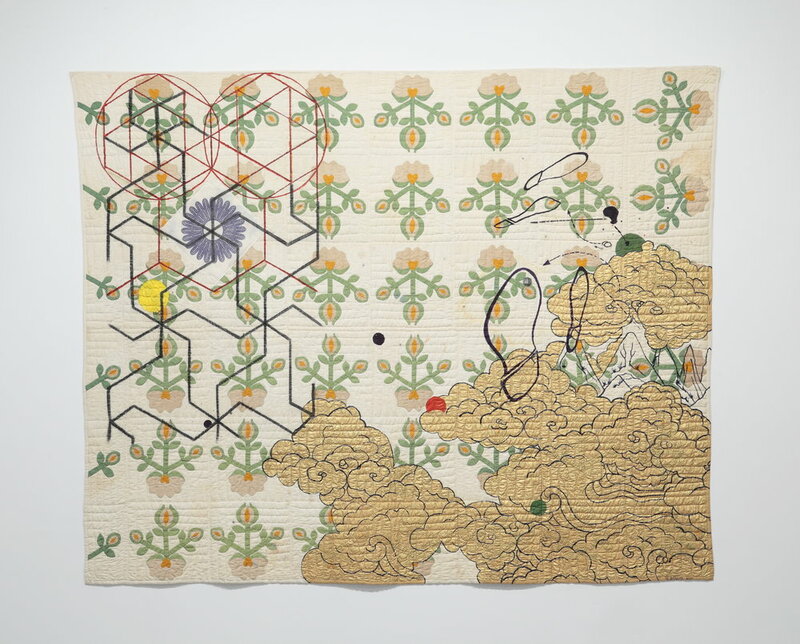 They put together an exhibition that would allow the artists to tell us why the quilt resonates so strongly right now. 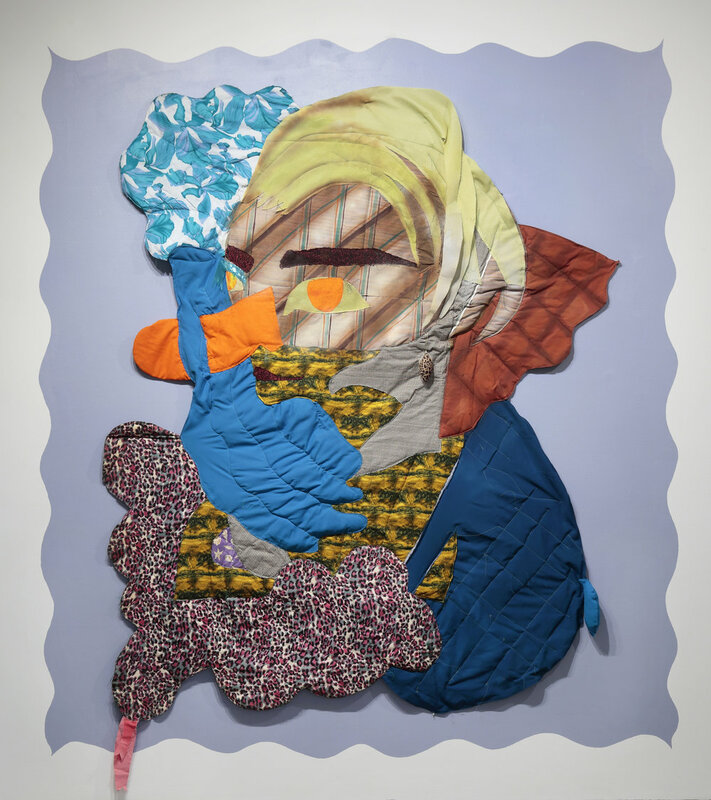 In the resulting show, 13 artists show us why this is happening in the art of the now. 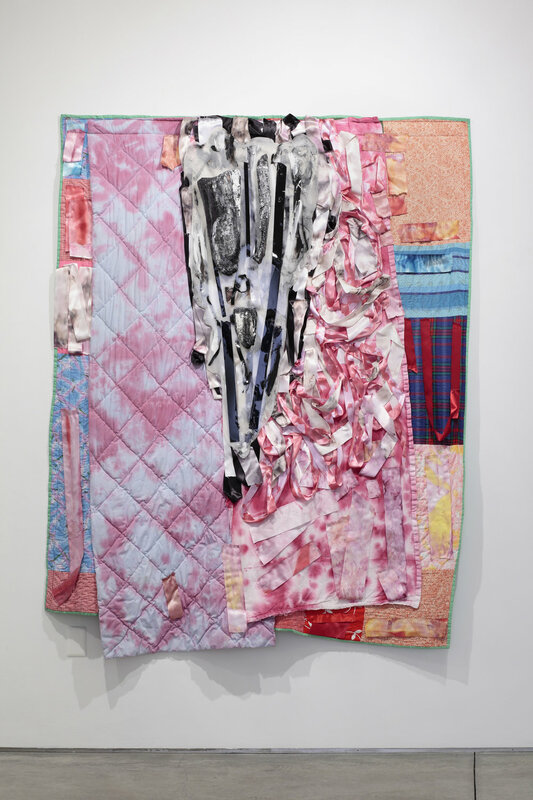 I spoke with them both, and quilt artist Gina Adams, just as the show opened. 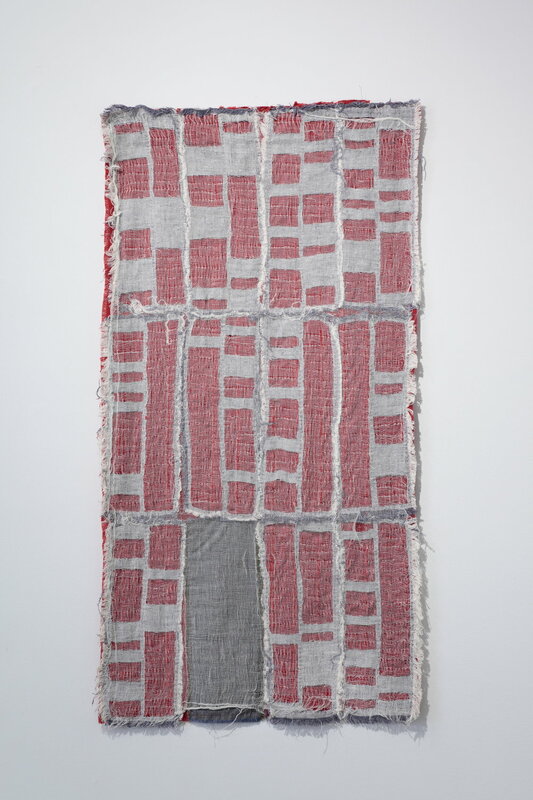 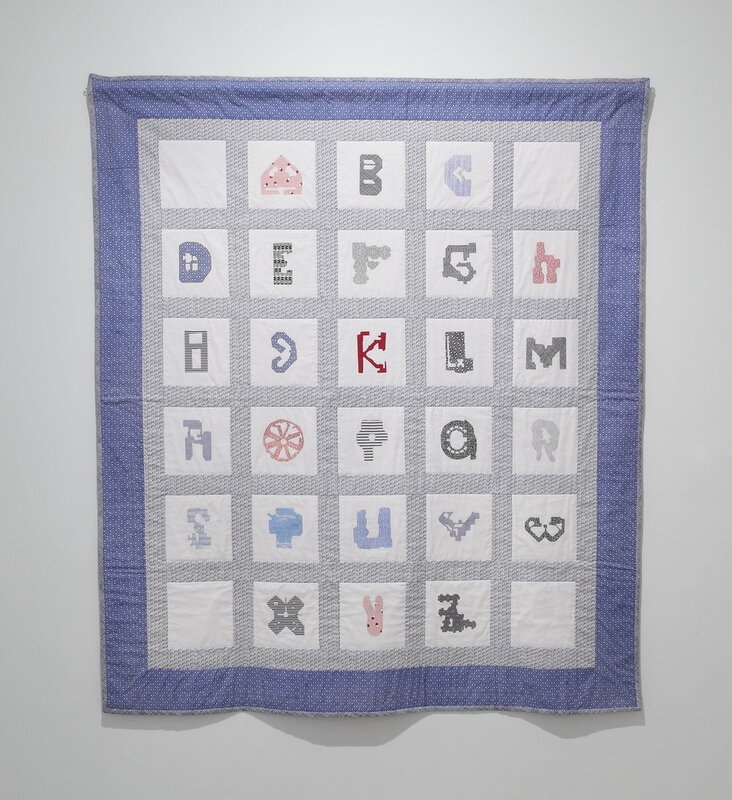 The Embedded Message: Quilting in Contemporary Art, curated by Stefanie Fedor and Melissa Messina, is on view at The Visual Arts Center of Richmond through February 11th.